There are 11 posts tagged employee engagement (this is page 1 of 1). But it all begins with acknowledgment and profound appreciation for the most rudimentary fact of human existence: “we are”. Joni Mitchell said, “we are stardust, we are golden” and in the workplace we are so much more than “Humans Doing”…we are “Humans Being”, with all the wonderful gifts of our unique person-ness right there for the sharing. Lisa Haneberg is an expert (and lifelong student) in the areas of organization development, management, leadership, talent management, and personal and organizational success. With over 25 years of experience she has provided departmental leadership, consulting, training and coaching solutions for manufacturing, health care, high technology, government, and nonprofit organizations. She has written 14 business books and speaks on a broad range of topics of interest to leaders and managers. 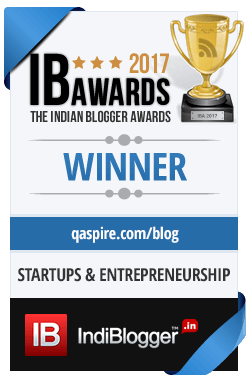 [Tanmay Vora] Lisa, welcome again to QAspire Blog. I often hear senior leaders who complain about lack of accountability within their teams and organizations. What is the #1 mistake that leaders make when trying to make their teams more accountable? [Lisa Haneberg] Thanks, Tanmay. I think that the #1 mistake is failing to understand how our performance systems work. As leaders, we use two performance systems – accountability and engagement. Accountability is an extrinsically motivating system, which means that it is a “push” system and thus the secret is to be consistent and have strong follow through. I have worked with leaders who proclaim a need for accountability, publish metrics, but then do little else to operate the accountability system. [Tanmay Vora] I loved how you have differentiated and then related accountability and engagement. Please tell us a little more about that. [Lisa Haneberg] Accountability and engagement are distinct systems, as I mention above. What this means is that the leadership actions that increase accountability are not the same as those that increase engagement. At the same time, accountability and engagement are interdependent. When you increase accountability, for example, you might see a downturn in engagement because accountability systems can make employees feel audited and unappreciated or untrusted. This is where the phrase “double the love” comes from – when you increase accountability, you need to double the love to keep accountability and engagement in balance. [Tanmay Vora] “Love” is not a word that we use often at workplace. What has love got to do with the whole topic of accountability and engagement? [Lisa Haneberg] Let me start with defining “love.” Managerial love is taking initiative on behalf of someone else. It’s doing the things that enable our team members to do their best work. It’s caring enough to apply individualized support. As leaders, we give love when consider and act in ways that engage and help our team members. Sometimes love is as simple as letting someone skip a long meeting so they can get out of the office at a decent hour or spending time listening deeply. Managerial love is the fuel for engagement – it’s how we create more pull and satisfaction in the workplace, so it is HUGELY important for engagement (and helps counteract morale hits from accountability measures). [Tanmay Vora] If there was one key message from “Double the Love” that you had to share with HR, Managers and Leaders at all levels, what would that be? [Lisa Haneberg] In the book, I share 11 “secrets” and the final one is that the secret to performance velocity is design. This idea pays homage to Dan Pink’s belief from “A Whole New Mind” that design is a critical competency for our time. And this is particularly the case when trying to cultivate accountability and engagement. Design in this context means that we have been deliberate in choosing and using leadership practices that will support our goals. Being deliberate means that your intentions show up in your actions, decisions, beliefs, and behaviors. I believe that many leaders know – intellectually – the best things to do but that few follow through with their intentions. Design is the most fascinating discipline for leaders, I think. I love the challenge and possibility of creating my leadership practice. BTW, Dan Pink endorsed the book based on this connection to his earlier work and I love what he said. [Tanmay Vora] Lisa, thank you so much for provocation to lead better through this book. Thank you also for being so generous with your art and sharing your insights here. I am pretty sure readers of this blog will find your blog and books very useful and inspiring. [Lisa Haneberg] Thanks, Tanmay. I hope that your readers will double the love and bring out the best in others. For thousands of years in India, there prevailed a tradition of “Guru-Shishya” – mentor and protégé in other words. In this relationship, which was a primary form of education then, powerful and subtle knowledge was conveyed to protégé on a one-on-one basis in an environment of complete trust, dedication and intimacy. As realization grew, the protégé would extend his lessons to others and so, wisdom kept flowing across generations. Cut to the corporate environment today. Ability to provide mentoring is a part of almost every manager’s KRA. They are expected to help people grow and ensure that they learn as they do. Managers are the glue that builds engaged teams in organizations. But the reality is that managers get so engrossed with lines – deadlines and bottom lines – that they forget they also need to help others grow. Sadly, they start looking at people as “resources” to get the job done. If I were to judge a manager’s performance, I would do so based on two parameters: 1) How effectively do the managers get the job done? 2) While doing so, how much did people in the team grew and learned? To be effective and make a lasting difference, managers have to be mentors first and then guardians of tasks. Mentoring is an art. This week, Chip R. Bell and Marshall Goldsmith released the revised edition of their classic book “Managers as Mentors: Building Partnerships for Learning” which I read with great interest. I loved the sub-title which says it all. Mentoring is the highest form of teaching and every manager who wants to make a difference in their people’s lives will find this book useful. I was reminded of the powerful tradition of “Guru-Shishya” while reading parts of this book. The book then goes on to provide practical ideas and case studies that can help any manager in mentoring their team members effectively and thereby build an engaged and connected team that delivers results and grows. I also loved the useful tools (book has an entire mentors toolkit section) like self-check scale for a mentor which helps you assess your own aptitude to mentor others. On a long run, a manager’s real legacy is not the projects executed, but difference made in the lives of other people. People already have potential hidden (like gold dust within the sand) and a mentor’s job is to help a protégé so that the gold surfaces. It is about gently and constantly pushing them towards higher plane of possibilities and learning. Learning and extending that learning to others in an organization is not a “feel-good-nice-to-have” thing – it is a competitive strategy that helps in innovation, improvement and growth. People deliver their best work when they are fully engaged with the purpose of their work. In an organizational setting, people only deliver their best when they are engaged with the purpose, vision and values of the organization they work with. Businesses can conduct an employee survey to determine engagement levels. They look at their work as a part of a larger whole – and not just a discrete component. A CEO was walking down the hallway of the hospital he managed one day and came across the janitor working. He stopped to talk with him for a few moments and eventually he asked the janitor what he did. The janitor stopped, turned to the CEO with a completely serious look and replied, “I save lives.” The CEO was taken aback. What was this guy talking about? He’s the janitor, not a heart surgeon. He continued, “See, when I do my job well and clean the operating rooms and other work areas, the doctors have a sanitary, safe place to do their jobs. I clean things, yes, but in the bigger scheme of things, I’m helping to save lives.” The CEO instantly realized his own “small thinking” and saw that the janitor had a view of the mission of the hospital from an entirely different, yet valuable, perspective. In my view, great quality of work is a direct result of an engaged team. Employee engagement is a way to ensure that people do a good job, not because they are forced to, but because they want to. Ben Eubanks also compiled an eBook “Onboarding and New Hire Orientation“. David Zinger is a thought leader in employee engagement whom I have admired since long. Check out the “resources” page on his website for some amazing free resources/eBooks/ideas on the all important topic of employee engagement.